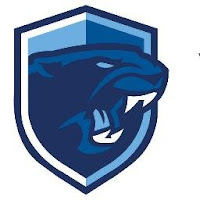 – Franklin junior goalie Ray Ivers made 29 saves to lead the Panthers to a huge win over highly ranked St. Mary’s of Lynn, who is considered to be a top 10 team in the state by most rankings. Franklin took a 1-0 lead in the first on a goal midway through the period from Kyle Hedvig. Brendan Sicchio made it 2-0 on a redirect of Cam Cassella’s shot with under five minutes in the second period. Cassella then scored himself, blasting in a shot early in the third period to make it 3-0. – Franklin and Mansfield each won their first matches of the day but lost in the second round. The Panthers took down Needham (55-13) and the Hornets pinned down BC High (53-18) to advance to the quarterfinals. Mansfield lost to top-seeded St. John’s Prep 42-27 and Franklin bowed out with a 30-25 setback to West Springfield. In the fifth place match, Franklin beat Mansfield (36-26) with pins from Jordan Carlucci (132), Dylan Nawn (195), and Matt Leofanti (220). Mansfield’s CJ Glaropoulos (152) had a pin in the loss to the Panthers. Team finishes 5th. DiFilippo, Sauer, Sackley and Nawn go undefeated. 36-26 Win over Mansfield. Pins from Jordan, Nawn and Leofanti. FHS swimming is proud to announce its largest state and sectionsl team to date ,18 swimmers strong... Just. Keep. Swimming. 30-25 Loss to West Springfield. Pin from Sackley and tech from Nawn.